This year Lyubov Petrova sings her first performances of the Four Heroines in Les contes d’Hoffmann with New Israeli Opera, La traviata with Korea National Opera and Despina in Così fan tutte at the Hyogo Performing Arts Center in Japan, all three in company debuts. She makes her long anticipated return to Novaya Opera Theater in Moscow as Violetta in La Traviata and sings Gala concerts of Rossini, Donizetti, Bellini and Mozart with the Pressburger Symphoniker at the Schloss Esterhazy in Austria. During last few seasons, she made her Bolshoi Theater debut as Sophie in Der Rosenkavalier and returned to Pittsburgh Opera for Gilda in Rigoletto. Debuted at the Teatro San Carlo di Napoli in the role of Lisinga in the Rossini rarity, Demetrio e Polibio. 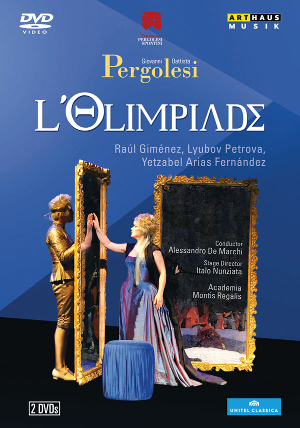 She made a DVD recording of another rare opera by Pergolesi L’Olimpiade in the role of Aristea with Festival Pergolesi Spontini in Jesi (available on the Arthaus Music label). The concert appearances included Brahms’ Ein deutsches Requiem with the Hong Kong Philharmonic (conductor – Jaap van Sweden), Purcell The Fairy Queen and Mendelssohn’s A Midsummer Night’s Dream with State Academic Orchestra “Evgeny Svetlanov” (conductor – Vladimir Jurowski). Ms. Petrova made her hugely successful Metropolitan Opera debut as Zerbinetta in Ariadne auf Naxos. 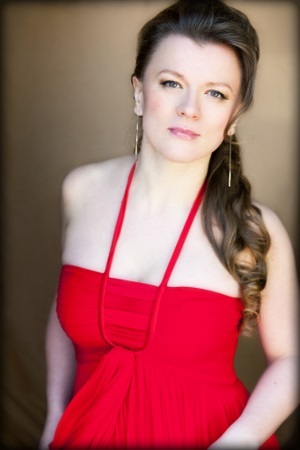 A former participant in the company’s prestigious Lindemann Young Artist Development Program, she has returned to the Met for numerous roles including Sophie in Der Rosenkavalier, Pamina in Die Zauberflöte, Norina in Don Pasquale, Sophie in Werther, Nannetta in Falstaff, Oscar in Un ballo in maschera, Adele in Die Fledermaus, Blondchen in Die Entführung aus dem Serail, Xenia in Boris Godunov, and Woglinde in Der Ring des Nibelungen among others. Other recent performances include the title role in Manon at the Teatro Massimo in Palermo; Gilda in Rigoletto and Lucia di Lammermoor with Washington National Opera, Pittsburgh Opera and Opera Lyra in Ottawa; her Nederlandse Opera debut as Juliet in Roméo et Juliet and return to Dallas Opera with the same role. at the BBC Proms at Royal Albert Hall; Angelica in Orlando and Louisa in Betrothal in a Monastery at the Palau de les Arts Reina Sofia in Valencia, Juliet in Roméo et Juliet with Pittsburgh Opera and Atlanta Opera; Elvira in I puritani with Palm Beach Opera and Susanna in Le nozze di Figaro with Dallas Opera; Oscar in Un ballo in maschera with Houston Grand Opera. She joined the Spoleto Festival U.S.A. for the title role of Lakme, Despina in Così fan tutte, and further performances of Zerbinetta in Ariadne auf Naxos. She sang her first performances of the title role in Martin y Soler’s L’arbore di Diana at the Teatro Real and Adalgisa in Norma at the Bellini Festival in Catania. In her native Russia she has sung Violetta in La traviata, Lyudmila in Glinka’s Ruslan and Lyudmila, the title role in Rimsky-Korsakov’s Snow Maiden, and Marfa in Tsar’s Bride with Novaya Opera. Among the numerous concerts Ms. Petrova joined the Russian National Orchestra for Rachmaninoff’s The Bells (available commercially on the Warner Classics label) and Artiomov’s Requiem; she appeared in Moscow at Placido Domingo’s Concert in Red Square; at the Theater an der Wien in Austria with the Tchaikovsky Symphony Orchestra and Vladimir Fedoseyev; performed Bach’s Magnificat and Haydn’s Lord Nelson Mass with Helmuth Rilling conducting the Moscow Conservatory Orchestra; and Mozart’s Exsultate, jubilate with the Moscow Chamber Orchestra. She has also sung concert programs under batons of James Levine, Julius Rudel, Jose Serebrier and Donald Runnicles among others.